ok, as i quoted from her book : SUN DAMAGE IS THE MOST SIGNIFICANT CAUSE OF WRINKLING, SKIN AGING and SKIN CANCER..
have doubts? doesn't believe me?? you can do simple test though, to prove it.. it's called BACK SIDE TEST OF AGING.. here's how : you just have to compare the areas of your body that rarely see the sun (ex : back side, inside of your arms, breasts, middle back, thighs) with the parts that's exposed to the sun on daily basis..
you can see that areas that rarely exposed are LESS DRY, FLAKY, THIN, SHOW BROWN DISCOLORATION, WRINKLES and any other sign of aging..
however, this personal test only works if you're over the age of 30 because (as i quoted again..) that's about the time the accumulated sun damage begins to show up.. so if you're underage, just check out your parents or even your grandparent's inner arm and see the shocking difference..
i wanna share a lil' bit, as simple as possible about UV radiation.. bear me..
there are 3 types of UV rads..
1. UV A : this cause a skin tanning..
2. UV B : this damages the skin's genetics structure, causing mutation and abnormal growth patterns ---> LEAD TO CANCER..
3. UV C : it's filtered out by the atmosphere so none of 'em could reach the earth..
remember this.. all UV radiations are strongest between 10am to 2pm.. keep that in mind!!! 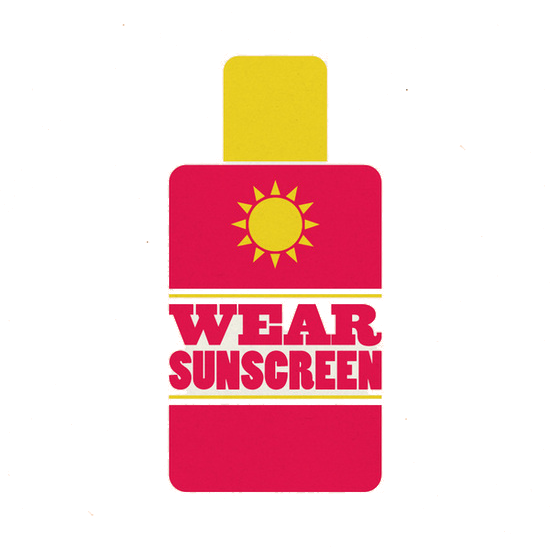 another thing i wanna share is about SPF (Sun Protecting Factor).. what's SPF really means?? 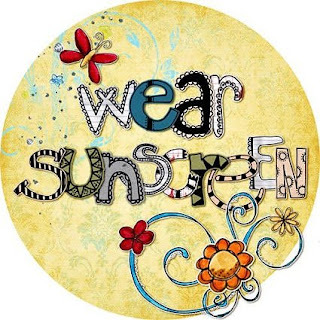 the answer is this.. for example : if you can stay out in the sun about 15 minutes before your skin starts to turn pinkish, applying sunscreen with SPF 15 will allow you to stay in the sun 15 times longer..
mmm.. what's to talk about next.. this getting interesting don't you think??? LOL.. ohhh, i know.. be a smart buyer.. keep this in mind and keep a note..
if your sunscreen contain at least one of these, you'd be just fine..
* if you're using several skin care products, make sure you put your sunscreen LAST!! * if you're wearing makeup, pressed powder with SPFs is a great way to touch up the makeup during the day while reapply more sunscreen at the same time..
SUNSCREEN is WATER RESISTANT, NOT WATERPROOF..
means : the SPF value has been measured after application and 40 minutes of water immersion.. VERY WATER RESISTANT means : SPF value on the label must remain intact after 80 mins of water immersion..
so if your sunscreen doesn't say water resistant, don't use it for exercise or swimming..
hahhh.. that's all for me now.. lots of quotes from Paula Begoun's "The Beauty Bible".. hope you found my blog here useful, for the sake of our health.. 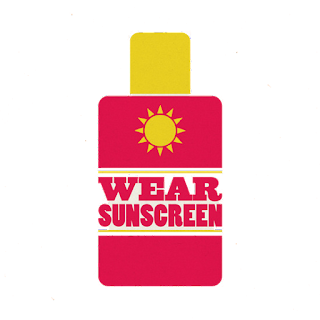 The thing with sunscreen is we have so many similar yet different information and opinion depending on who make the statement. 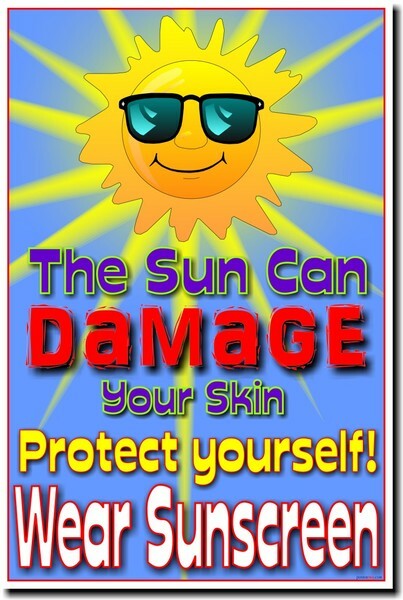 But I think it is safe to say that we all agree that sun rays is not good for our skin and therefore we should minimize any damage it may cause. Great post and very informative! Great review! 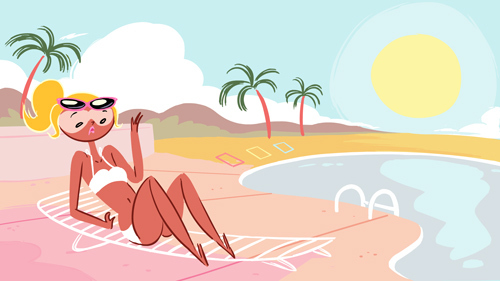 I have gotten laser hair removal, but haven't had the cash to go in to get extra body parts zapped. I have tried the no-no to miscellaneous results, so possibly this is what I'm looking for. Thank you for sharing these details. More power to you and to your sun damage in Houston.